Involvement of young talents and university students in the work of the training centre is important for us. We also invite them to contribute to our awareness-raising activities: they help us to show cultural and natural values of the Pilis Biosphere Reserve to the locals. Participants take part in the preparation and they can work with us during the programme as well. We also cooperate with local NGOs. Their ideas and experience can help us in our work and the cooperation provides basis to improve relationship between local residents and KÖME. This is very important because the training centre will be opened not only for professionals but also for the locals. In the project, our partner is the Cultural Heritage Studies programme of Central European University. Students from different countries can contribute with their diverse expertise to the of the first public event of the training centre. We organize two events within the project in 2016: „Earth Day”, and the „Day of Archaeology”. The programmes of these days are planned for the community of Pomáz and its surroundings. We are waiting not only for the young adults but also the other generations because community building is an important aspect of the project. The Earth Day event will take place 23rd April 2016. We organize the programme in cooperation with the students of the Cultural Heritage Studies programme of Central European University. We are working on the preparation of the event. 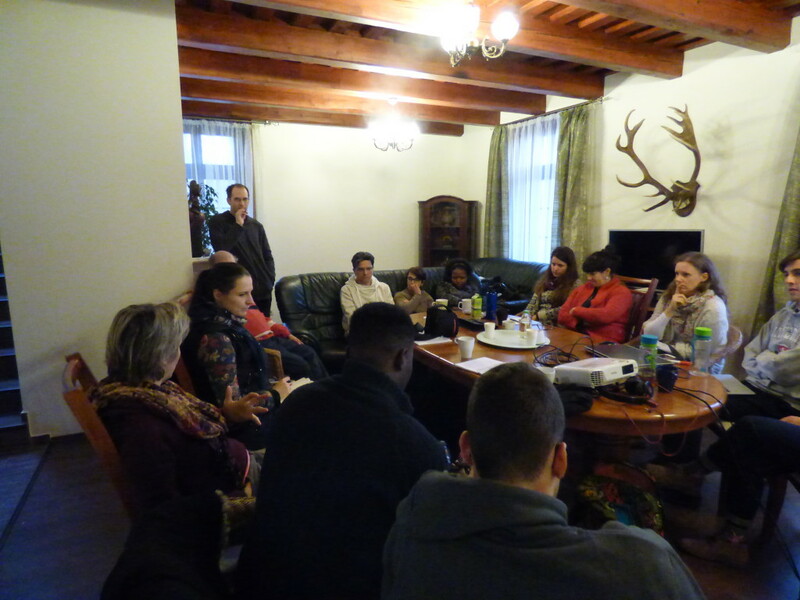 We already have had a workshop on the farm with CEU students. We have a meeting with our volunteers on 17th February but it is also possible to apply for volunteer after that time. The goal of the Earth Day event is not only community building but also environmental awareness raising among locals. The international organizing crew makes this event special: a wide range of experiences melt together here with local knowledge and enthusiasm. Handicraft activities, music and dance will be on the programme. During the day we can get closer to nature, learn about natural resources in smaller everyday situations. The KÖME project called „Involvement of young talents in raising awareness of values of the Pilis Biosphere Reserve” is supported by the National Talent Programme. Final, detailed version of the programme is coming soon.